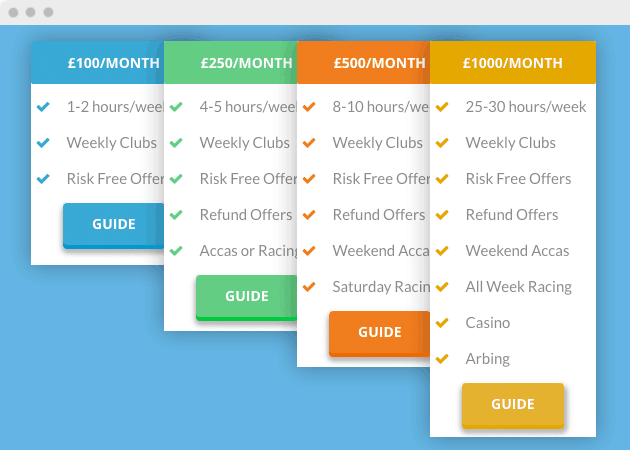 Everything you need to start Matched Betting, all completely free. 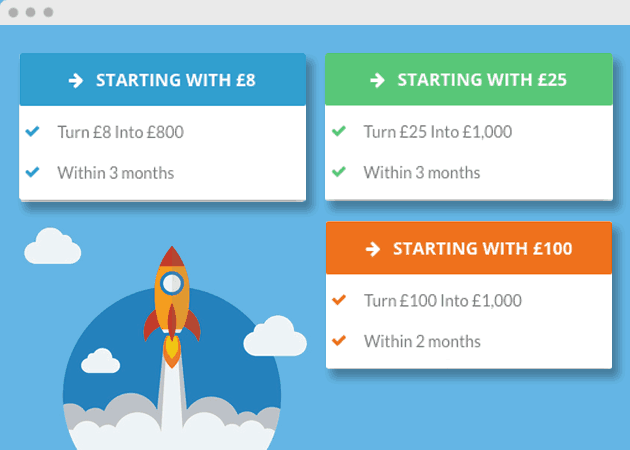 Earn £600+ without spending a penny on subscriptions. 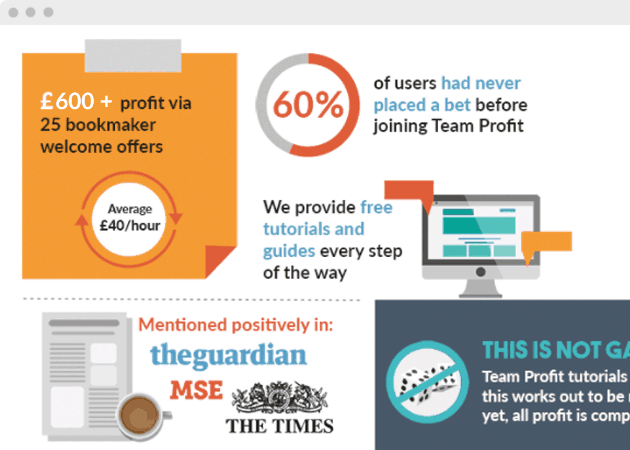 We are proud that over 60% of our members had never even placed a bet in their lives before working through our guides and earning over £1,000 in risk-free profit. Each offer has the very best step-by-step guide, designed so that even a monkey could make risk-free profit with us. 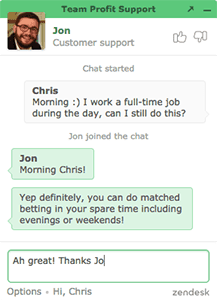 Completely free to join and all of your questions are answered by either Jon, Chris, or one of the 2,000+ helpful Team Profit members. 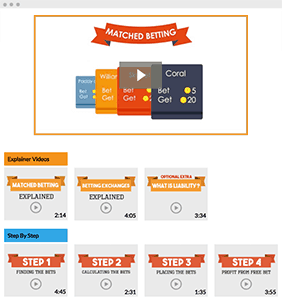 To make learning matched betting even easier we have an easy to digest infographic to accompany every video guide. 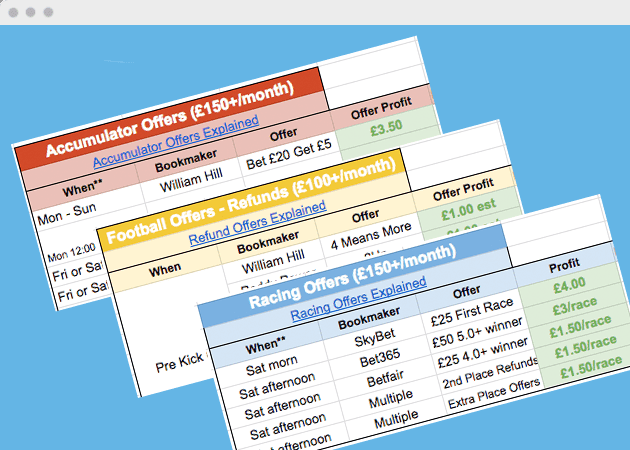 Tracking your profits is very important - which is why we provide you with an easy and helpful matched betting spreadsheet. 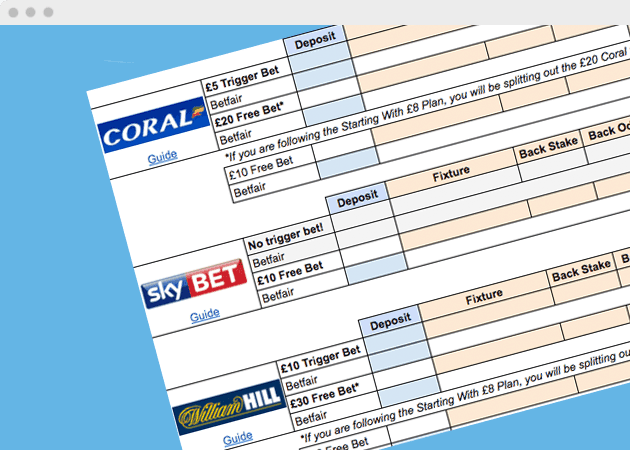 We make starting even easier by laying out the exact route to £1,000 profit. Starting with as little as £8, or £25, or £100. 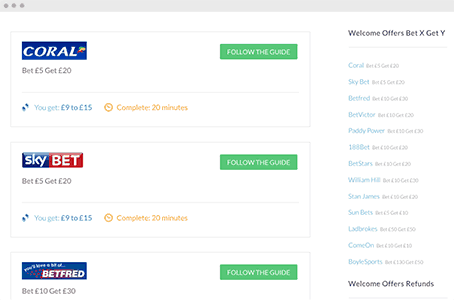 All the offers beyond welcome offers have their own guides too. Making ongoing profits even easier. Be efficient with your time by using our weekly offers timetable and never miss a profitable ongoing offer. 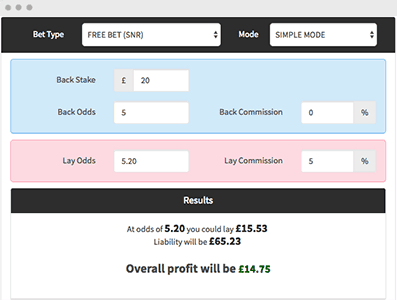 Our matched betting blog is one of the most profitable on the internet. It is regularly updated with the best information and tips. Zilch, zero, nothing - forever! 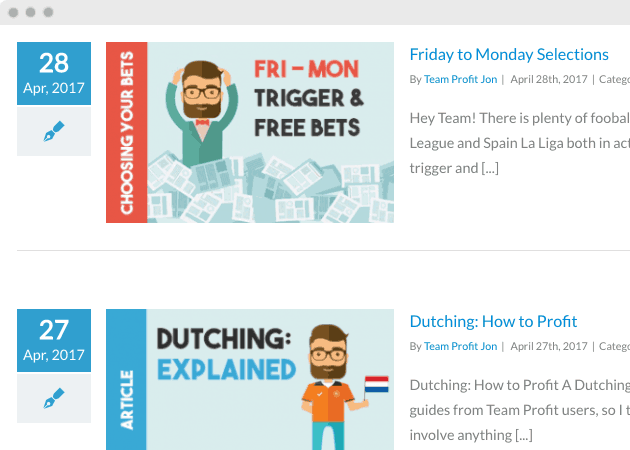 Click here to find out how Team Profit makes money despite offering all of it's fantastic features for free, forever.